It’s hammer time! We’re at the Las Vegas Convention Center where the NVIDIA team is busily unpacking crates and putting our booth together for the CES start Thursday. Before the doors officially open we wanted to give you a preview of what you can see at our booth related to ION (our award-winning graphics processor that transforms small PCs like netbooks into fully capable PCs). We’re showing a number of ION-based PCs in our CES booth including the world’s fastest netbook, sleek all-in-one systems, and tiny nettop PCs. These PCs – from Acer, ASUS, HP, Lenovo, MSI, Samsung, and Zotac – all deliver a killer multimedia and HD video experience in a compact design. With full support for Windows 7 Home Premium, these svelte systems show that even small PCs can provide great graphics and entertainment with the help of a good graphics processor. If you want 10X the graphics performance, 1080p YouTube HD video, and Sims 3 on a netbook, choose ION. Standard “Pine Trail” netbooks are simply not up to the task*. 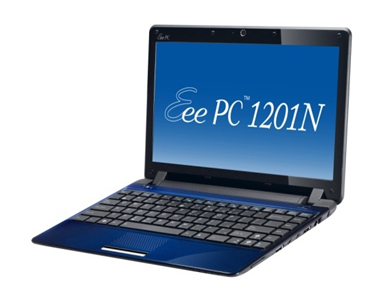 The ASUS 1201N is the world’s fastest production netbook. It provides a sweet multimedia experience with support for streaming HD video (using Adobe Flash Player 10.1), accelerated media conversion, and plays popular games like The Sims 3. 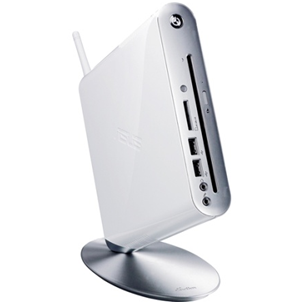 Be sure to check out the new ASUS Eee Box EB1501 desktop system at our booth. This mighty mini combines ION graphics with a dual core Atom 330 CPU and adds great features like a DVD burner, Windows 7 Home Premium, a 250GB hard drive, and 802.11 b/g/n wireless. A new all-in-one PC from MSI, the Wind Top AE2220, delivers great performance and versatility at an affordable price—who doesn’t like affordable? It’s sleek, fun and easy to use. 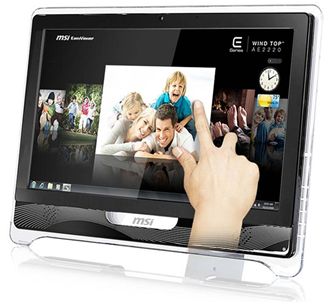 The unit comes with Windows 7 Home Premium and rocks multi-touch on its 21.5-inch, widescreen HD display. The display supports full 1080p video thanks to NVIDIA ION graphics, and the unit has built-in HDMI in so it can double as an HD-ready monitor. The Wind Top can also handle photo editing, video editing, and HD video playback, and it comes with either a DVD burner or Blu-ray drive. All for under $900. It’s a slam dunk for digital content fans and families who like to watch video or play casual games together. We’ve got MUCH more in store — stay tuned to the blog for details on other NVIDIA-based products we’re showing at CES. * – Based on 3DMark 2006 performance comparing NVIDIA ION with Atom 230 vs Intel GMA3150 graphics and Atom D410. Editorial sites like this one have shown HD video plays well on ION and not Pine Trail, and the same holds true for gaming.